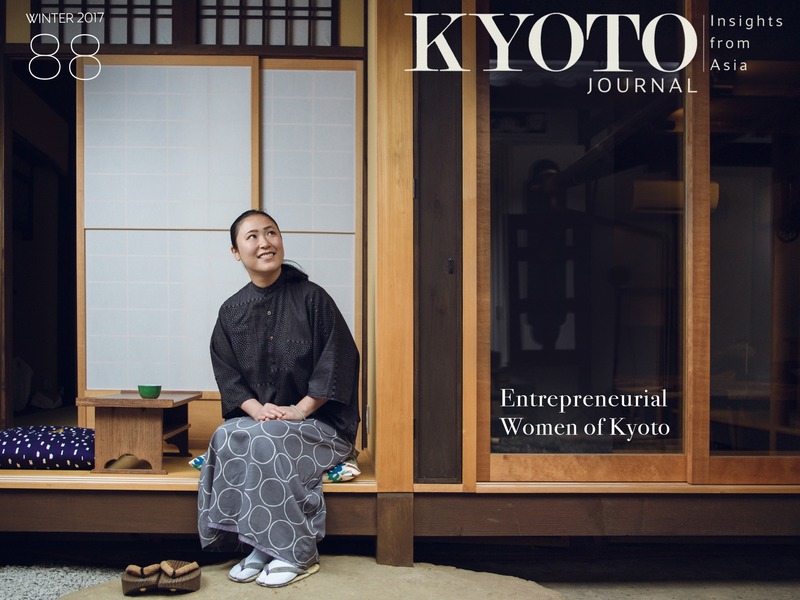 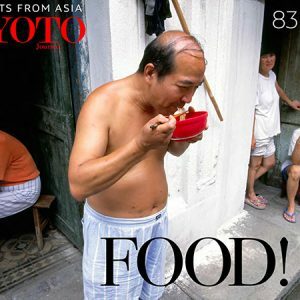 Kyoto Journal’s 88’s cover story is a set of portraits of creative and entrepreneurial Kyoto women photographed by Irwin Wong and profiled by Elle Murrell, in a special collaborative project. 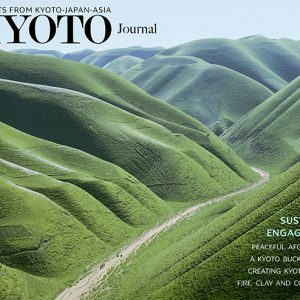 Closing in on the 5th anniversary of the still-reverberating Tohoku disaster, we include an extraordinary set of “cadenzas” by British poet John Gohorry, celebrating the real-life exploits (leavened with wicked dystopian insight) of a gang of ostriches on the lam in the Fukushima Exclusion Zone, and a somewhat spooky fiction, “An Incident on the Hokuwan Line” by Shaun O’Dwyer, also considerng the impact and aftermath of the earthquake. 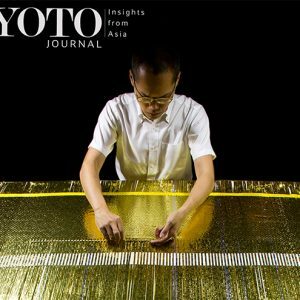 Following recent articles on aspects of Noh, an interview with John Ogelvee of Tokyo’s Nohgaku Theater introduces their recent modern Noh production, Blue Moon over Kentucky — featuring the wandering spirit of, yes, Elvis. Looking back over 30 years of publishing KJ, we also take this opportunity to reprint an essay by Dan Furst on Kyogen, from our very first issue together with Dan’s The Salaryman and the Office Lady, a 1987 retelling of the classic medieval farce Busu. 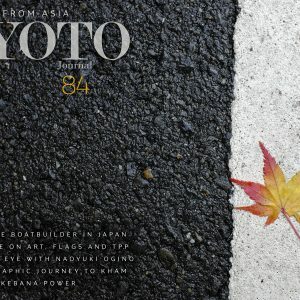 KJ 88 also features sparkling poetry, informative reviews, plus more offerings in our In Translation series: a short story by Koda Rohan, titled “Wind in the Reeds,” translated by Nagata Tsutomu; a vale for Soseki translator Valdo Viglielmo; and some non-standard Occupation-era haiku from Suzuki Shizuko, via translator Nagai Mariko.